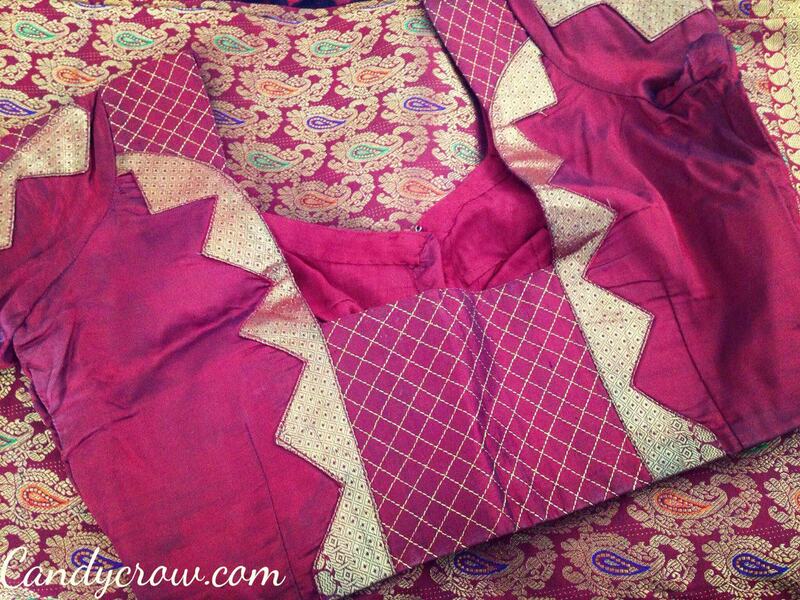 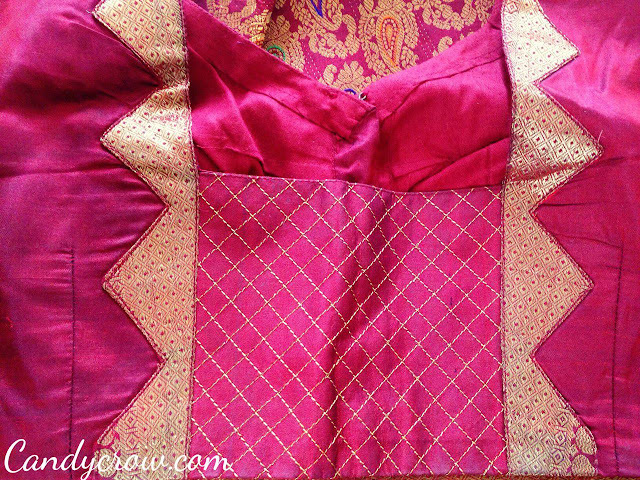 Today I am sharing the images of my wedding saree and it's blouse deign. 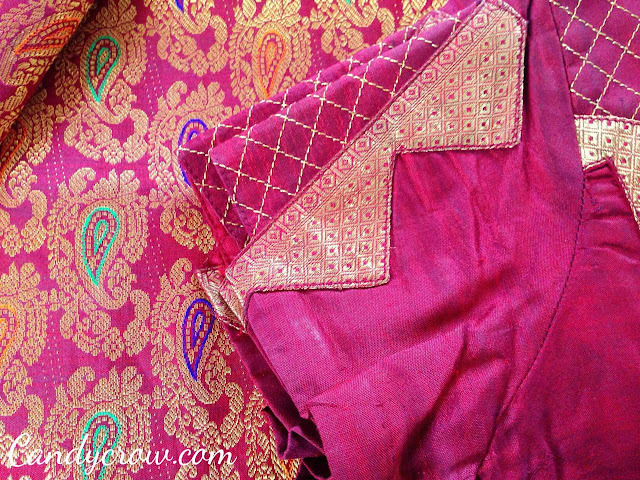 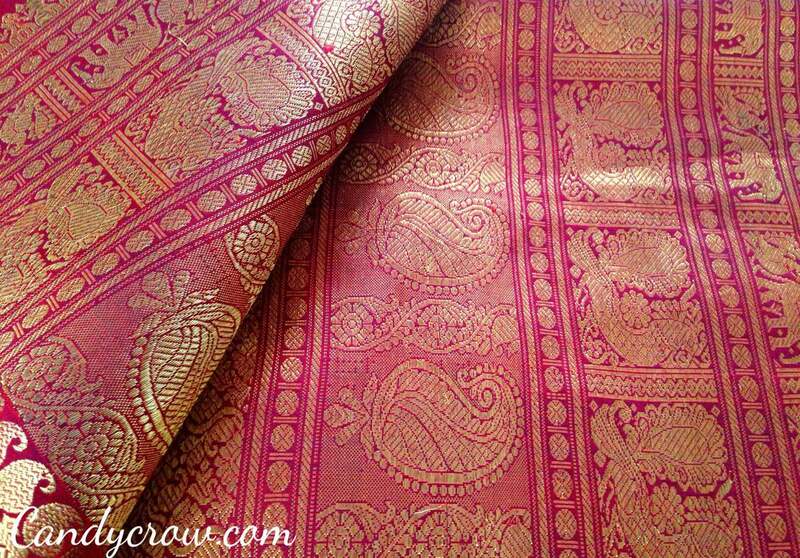 In most of the south Indian wedding bride wear red or maroon color silk saree as it is consider as an auspicious color. 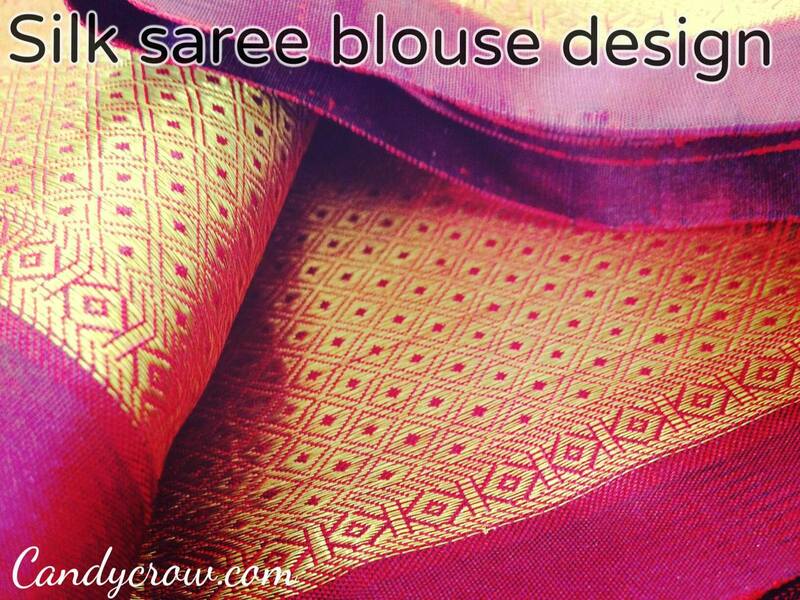 This saree has mango design through out the body along with red, blue and orange thread work inside the mango design. 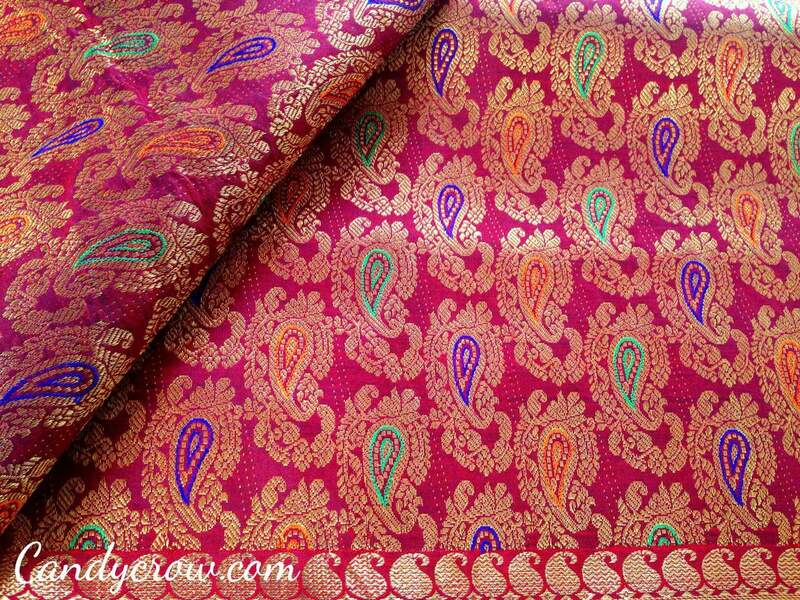 Pallu of the saree has mango, peacock and elephant design. I opted a simple embroidery design for the wedding saree, as heavy embroidery blouses are quite hard to maintain.